An everyday lightweight chair designed and built to provide a comfortable ride by reducing jarring and vibration. This has been achieved by utilising the Frog Legs Suspension technology. 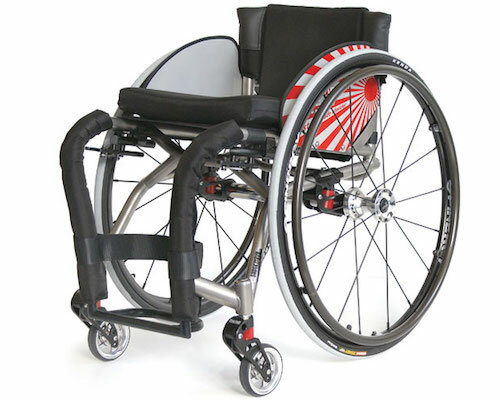 Melrose Kiwi Concept Chair’s other suspension wheelchair is the Cobra, which uses the low elastic modulus (springyness) of the titanium frame. Ideal for those users who like the outdoors or find themselves going up and down curbs regularly.